Papaya extract seems to have a toxic effect on cancer cells in culture, suggesting a potential treatment. Scientists documented for the first time that papaya leaf extract boosts the production of key signaling molecules called Th1-type cytokines. This regulation of the immune system, in addition to papaya's direct anti-tumor effect on various cancers, suggests possible therapeutic strategies that use the immune system to fight cancers. Papaya. The humble papaya is gaining credibility in Western medicine for anticancer powers that folk cultures have recognized for generations. The humble papaya is gaining credibility in Western medicine for anticancer powers that folk cultures have recognized for generations. University of Florida researcher Nam Dang, M.D., Ph.D., and colleagues in Japan have documented papaya's dramatic anticancer effect against a broad range of lab-grown tumors, including cancers of the cervix, breast, liver, lung and pancreas. The researchers used an extract made from dried papaya leaves, and the anticancer effects were stronger when cells received larger doses of the tea. In a paper published in the Feb. 17 issue of the Journal of Ethnopharmacology, Dang and his colleagues also documented for the first time that papaya leaf extract boosts the production of key signaling molecules called Th1-type cytokines. This regulation of the immune system, in addition to papaya's direct antitumor effect on various cancers, suggests possible therapeutic strategies that use the immune system to fight cancers. The papaya extract did not have any toxic effects on normal cells, avoiding a common and devastating consequence of many cancer therapy regimens. The success of the papaya extract in acting on cancer without toxicity is consistent with reports from indigenous populations in Australia and his native Vietnam, said Dang, a professor of medicine and medical director of the UF Shands Cancer Center Clinical Trials Office. "Based on what I have seen and heard in a clinical setting, nobody who takes this extract experiences demonstrable toxicity; it seems like you could take it for a long time -- as long as it is effective," he said. Researchers exposed 10 different types of cancer cell cultures to four strengths of papaya leaf extract and measured the effect after 24 hours. Papaya slowed the growth of tumors in all the cultures. To identify the mechanism by which papaya checked the growth of the cultures, the team focused on a cell line for T lymphoma. 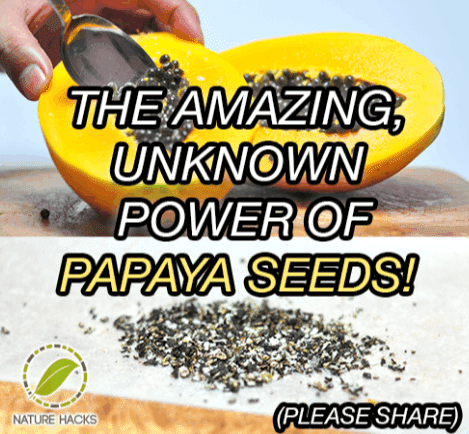 Their results suggested that at least one of the mechanisms employed by the papaya extract is inducing cell death. In a similar analysis, the team also looked at the effect of papaya extract on the production of antitumor molecules known as cytokines. Papaya was shown to promote the production of Th1-type cytokines, important in the regulation of the immune system. For that reason, the study findings raise the possibility of future use of papaya extract components in immune-related conditions such as inflammation, autoimmune disease and some cancers. Bharat B. Aggarwal, Ph.D., a researcher at the University of Texas M.D. Anderson Cancer Center in Houston, already is so convinced of papaya's restorative powers that he has a serving of the fruit every day. "We have always known that papaya has a lot of interesting things in there," said Aggarwal, a professor in the center's department of experimental therapeutics who was not involved in the UF research. Foremost among papaya's health-promoting agents is papain, papaya's signature enzyme, which is found in both the fruit and the leaves. "This paper has not gone too much into identifying the components responsible for the activity, which is just fine. I think that is a good beginning," Aggarwal said. 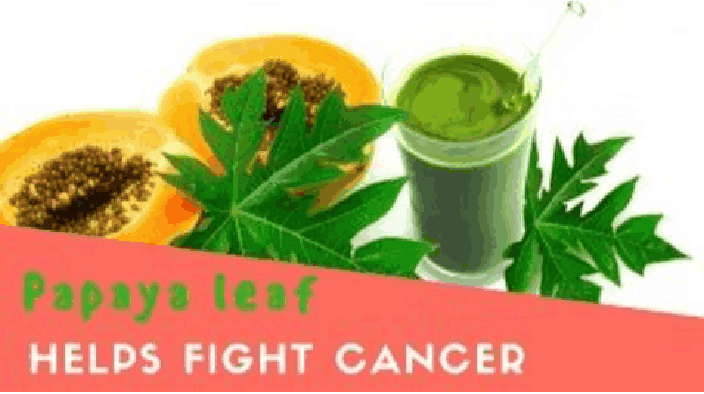 Aggarwal also noted that papaya extract's success in reducing cancer in laboratory cell cultures must next be replicated in animal and human studies. "I hope Dr. Dang takes it further, because I think we need enthusiastic people like him to move it forward," Aggarwal said. Dang and a colleague have applied to patent the process to distill the papaya extract through the University of Tokyo; the next step in the research is to identify the specific compounds in the papaya extract active against the cancer cell lines. For this stage, Dang has partnered with Hendrik Luesch, Ph.D., a fellow UF Shands Cancer Center member and a professor of medicinal chemistry. Luesch is an expert in the identification and synthesis of natural products for medicinal purposes, and recently discovered a coral reef compound that inhibits cancer cell growth in cell lines.